The Passover Seder plate is a standard part of every Seder table. Its components – maror, ḥazeret, ḥaroset, karpas, zeroa, beitsah, and matsa – have deep symbolic meanings that go back ages. But the thing about traditions is that in each generation, they are created anew. 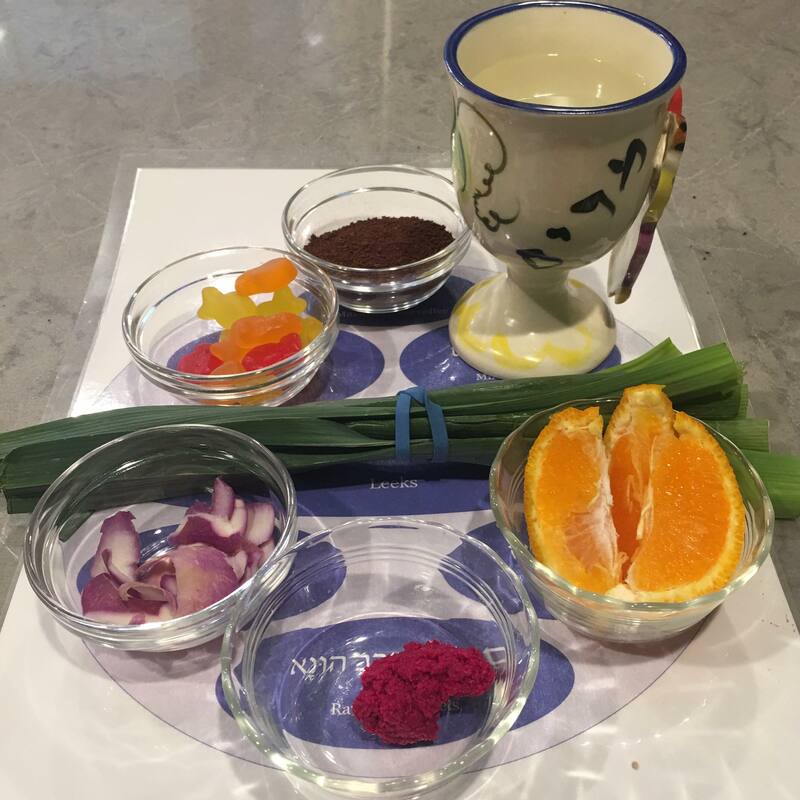 This Second Seder Plate includes seven additional foods – Miriam’s fish, leeks, Rav Huna’s beets, orange segments, turnip peels, Maxwell House coffee, and Miriam’s cup. Some of these foods have a long history behind them, while others are new ways to approach the Seder. Each includes a page of notes and readings to foster discussion and thought – as has always been the true meaning behind the seder. One who desires to only include some of the seven readings could use the notes as reading material, or one who desires to use all seven could print out the Second Seder Plate and put it alongside their traditional Seder Plate. “A Second Passover Seder Plate with Seven Additions, by Isaac Gantwerk Mayer” is shared by Isaac Gantwerk Mayer with a Creative Commons Attribution-ShareAlike 4.0 International copyleft license.